A reptile is an ectothermic vertebrate that has lungs and scaly skin. Reptile can spend their entire lives on dry land. About 7000 kinds of reptiles are alive today, but they are only a tiny fraction of a group that once dominated the land. The eggs, skin, and kidneys of reptiles are adapted to conserve water. A reptile's egg has a shell and membranes that protect the developing embryo and help keep it from drying out. Reptiles lay their eggs on dry land. Reptile eggs are soft and leathery. Reptile have dry, tough skins covered with scales. This scaly skin protects reptiles and helps keep water in their bodies. The kidneys of reptiles concentrate the urine so that they lose very little water. Most reptiles breathe entirely with lungs. The hearts of most reptiles have three chambers - two atria one ventricle. Most reptiles alive today are either lizards or snakes. Both have skin covered with overlapping scales. They shed their skins and live in warm areas. Lizards have four legs, usually with claws on the toes. 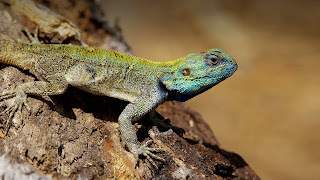 They have long tails, slender bodies, movable eyelids and external ears. A few lizards, are herbivores that eat leaves. Most lizards are carnivores that capture food by jumping at it. 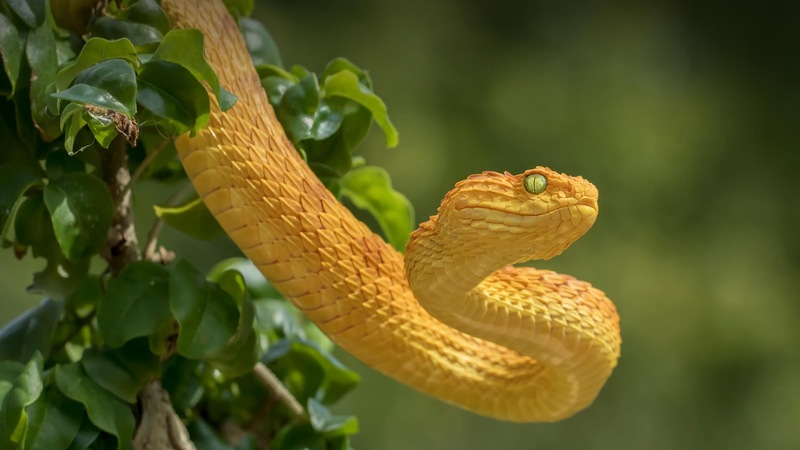 Snakes are able to live in almost every sort of habitat, from deserts to swamps. Snakes have no legs, eyelids, or external ears, and most snakes have only one lung. Snakes move by contracting, or shortening, bands of muscles that are connected to their ribs and back bones. The bones of a snake's skull can move to let the snake swallow an animal much larger in diameter than itself. 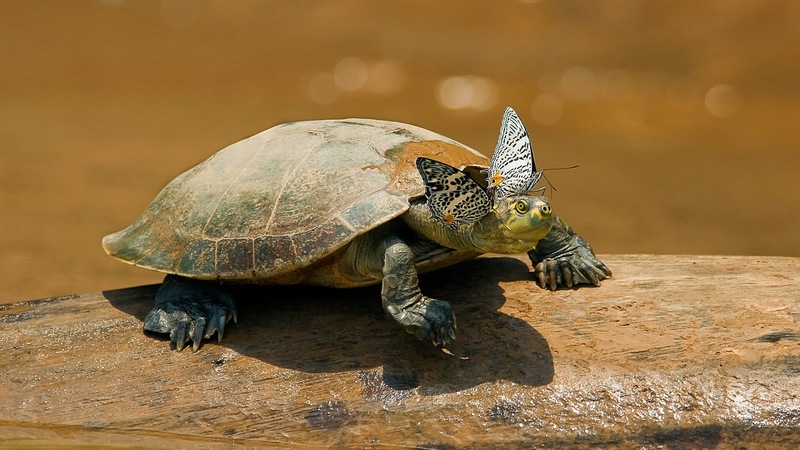 A turtle is a reptile whose body is covered by a protective shell, which is made from the turtle's ribs and backbone. The bony plates of the shell are covered by large scales made from the same material as the skin's scales. The largest turtles are carnivores. Alligators have broad, rounded snouts, with only a few teeth visible. Crocodiles have pointed snouts, and you can see most of their teeth. Both alligators and crocodiles spend much of their days resting in the sun or lying in the water. 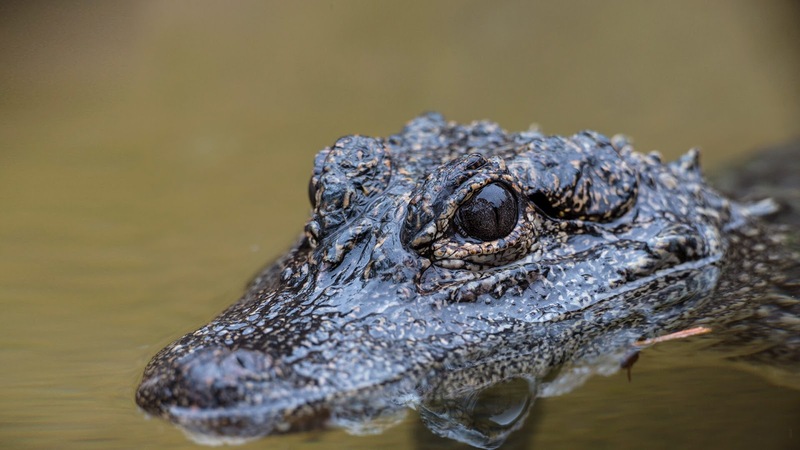 Alligators and crocodiles are carnivores that hunt mostly at night. Unlike most other reptiles, crocodiles and alligators care for their eggs and newly hatched young. For as long as a year, mother stays near her young.